1) To accomplish great things, we must not only act, but also dream, not only plan, but also believe. The most important yet challenging aspect of planning your travel Is not just trying to work out how much money you will need, but how on earth you are going to get it. The first step I took was when I told myself that I am going. I may be at zero now, but I can and will get there.It can be quite a challenge to curb those spending habits you may have had for years even decades! A lot of people do want to travel. It can be quite a daunting experience trying to work out how much you will infact need. 2)My biggest tip would be to just stop where you are and have a look at everything you have right now. Be grateful for everything currently in your life. Whether it be your health & even if you don’t necessarily like it, be grateful if you have a job. Be grateful that you have a bed to sleep in. Dwell in the thought that you can in-fact change your whole lifestyle and surroundings! The power is within you, & you only. I have always been a live for the moment kind of person. I am an experience junky! I know how to work hard for what I want to obtain, but I also occasionally wish I could just have it all right away. It really is easier said then done though. Although everyones circumstances will be different, It takes a lot of willpower to change your habits and work towards a big goal. Good things do take time, you have to remember this. The grass may not always be greener on the other side, but you may as well find out for yourself. 3) So have a look at your surroundings, what are you working with? how can you take what you currently have and use it to help you get closer to achieving your dreams? It might be that you already own your car, perfect! You were one step ahead of me. Use that car to drive yourself to your first job, 2nd job, you might have 3 jobs. Live in a city with transport? Ditch that car. Get a metro card. It may be that you already have a passport! Start small, get that passport, its a few hundred dollars. 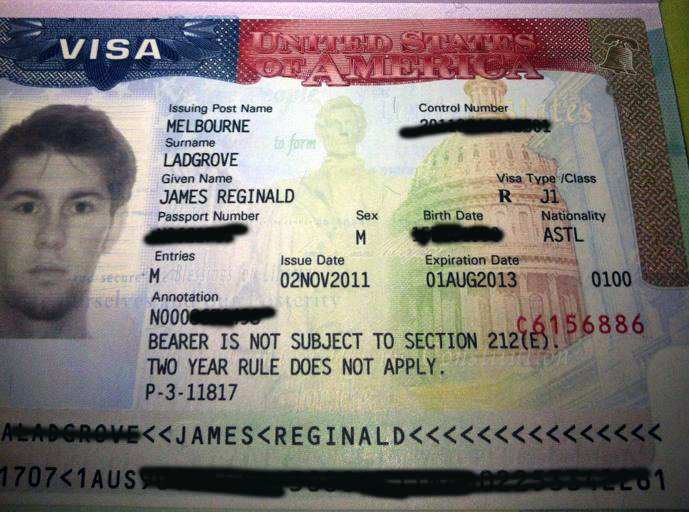 Save up for that few hundred dollars & just get that darn passport coz you going travelling baby!. 4) Trim the fat. I’m sure I’m not the only one that had obtained quite a few spending habits over the years. My weaknesses were, clothes shopping, eating out, & drinking! Very expensive habits indeed. It wasn’t easy to kick these habits I’m not going to lie. In fact I couldn’t actually muster up the courage to completely ditch them. I did however learn how to find the balance. I learned to track & become more aware of my spending. I told myself, ok , Jimmy you want to continue to buy clothes, for what? They’re re not going to all fit in your suitcase. So I told myself, every item I buy from now on must be beneficial to me and be useful with my upcoming travel plans. This state of mind really made me think twice whenever I seen an ASOS sale, or was feeling impulsive in the store. I do have expensive taste. I got together a collection of high quality staples. Quality not quantity is everything when you are limited only a few bags and a certain amount of Kg’s! 5) Budget App! We are so lucky these days, with the amount of help your smart phone and computers can save you. I stumbled across a really great budget app! I tracked absolutely every cent I spent. When you do this it makes you become more aware of your spending habits. Just how much all those coffee and cakes add up to at the end of the month, you would be surprised! The app I used, allowed me to enter saving goals! 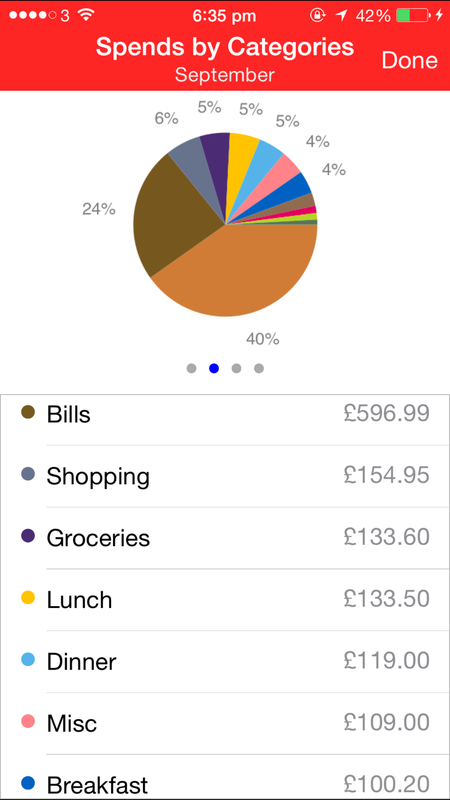 This app shows you pie graphs, line graphs, monthly, weekly , & fortnightly spendings. It really was a game changer for me when it came to saving. 6) Another tip is to just work. Work so much you don’t even have time to spend. Work two jobs, work mornings and nights like I did. Weekends also. Just keep working, work now play later. Delayed gratification. Know it will pay off. And take my word for it, it really does! Find some free hobbies to do in between, whether it be writing, reading or listening to music. 7) Continue to be inspired! Its important while you are sacrificing the easy life, busting your balls for that dollar, you must remain inspired! Tell yourself how much you want it. Get Instagram, follow travel accounts, look up random hashtags of the places you dream of visiting. Picture yourself there, scroll through the instagram photos and envision yourself at Times Square, Trafalgar Square or Federation Square, whatever square. Stare at that little instagram square and be inspired, it can and will be you. If you believe! 8) Dream buddies! I think this is also extremely important! having someone you can continue to talk about your hopes and dreams to while you are working on making them a reality! Although some people in your circles may not understand why it is you want to wander off. You shouldn’t have to look very hard to find someone like minded. Even if they share different goals they can still be helpful in motivating you and listening to you. I had my sister in law that has travelled a lot , we would get coffee and cake together and talk about all the amazing places we wanted to visit. I also had my sister I was living with, she would be very intrigued and envious. My Aunty would also be happy and excited for me. 10) Set a realistic timeframe. Interesting fact is that I actually booked my flight before I had actually saved any spending money! If that doesn’t motivate you to save then I don’t know what will! It might sound strange but it worked for me! Just by booking my one way flight , it was set in concrete in my brain. So every decision thereafter should benefit my travel goals. It worked. The harder you work , the luckier you get. Delay major purchases, think about them for 30 days. Do you really need that new car? I was literally driving grandmas car around when I was saving. How cool am I ? A Budget app helped me track my spending and save.